The biggest rise was seen in the UK, with 12,141 new registrations. Spain’s economy may be recovering as it shakes off the effects of the crisis, but that isn’t slowing down the number of Spaniards who are moving abroad. 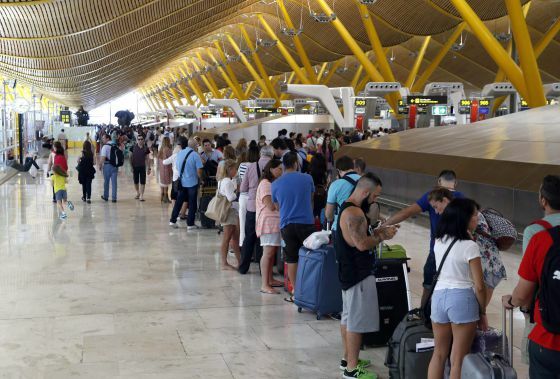 In total, 76,197 people with Spanish nationality registered as residents in foreign countries in the last year, according to the latest data from the National Statistics Institute (INE), and which was published on Tuesday. The number has been growing year on year since 2009, with nearly 2.5 million Spaniards now living in countries in Europe, America, Africa, Asia and Oceania. Between January 2017 and the same month in 2018, the census of Spaniards living in other countries has risen 3.2%. According to the Register of Spaniards Residing Abroad (PERE), in the last year new residents were mostly seen in Europe (40,022), followed by the Americas (30,470). It is these territories where the majority of Spaniards abroad reside, with 62% living in the Americas and 35% in Europe since 2009. The total number has been rising since 2009, when nearly 1.5 million Spaniards were registered as living abroad – principally in Argentina, France and Venezuela. By 2012, that number had risen to 1.8 million people and in 2016, 2.3 million. In just under 10 years, the number of Spaniards abroad has grown by nearly 70%, according to data from the INE. Demographer Amparo González, from the Spanish National Research Council (CSIC), explains that the INE figures do not necessarily represent the number of Spaniards born in Spain who packed up and left the country in the wake of the economic crisis. The specialist points out that the numbers also include people who were not born in the country, but who have Spanish nationality or who have more than one nationality and live in foreign countries. The INE figures show that only a third of those Spaniards registered in other countries in 2017 were actually born in Spain. More than half were born in their current place of residence, and 8% in a third country. González explains that the phenomenon is partly accountable to the fact that, during the years of growth in Spain, some of those migrating into the country secured Spanish nationality. With the arrival of the crisis and the resulting problems with unemployment, many returned to their countries of origin, where they registered as Spanish nationals. “These people have strong incentives to register with Spanish nationality and pass it on to their children,” González explains. Spaniards who were born in Spain and who emigrate, however, may live abroad for years without actually registering at a consulate. In the last year, the biggest rise in Spanish population living abroad, in absolute terms, was seen in the United Kingdom (12,141), the United States (11,012), France (9454), and Argentina. In relative terms, the biggest rises in countries with more than 10,000 Spanish residents were seen in the UK (10%), the US (8%) and Bolivia (7%). Venezuela, meanwhile, saw a fall in its Spanish population of 7.3%.